Curiosity, creativity and a passion for improving health care, one patient at a time – these are qualities that Madelyn O’Gorman strives to bring to her work as a summer undergraduate research fellow (SURF) in the Center for Individualized Medicine. 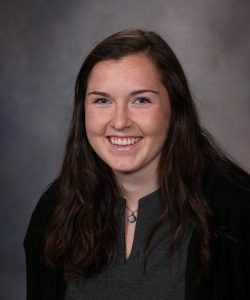 O’Gorman has returned to Mayo Clinic for her second summer as one of 13 University of Illinois at Urbana–Champaign students pursuing research as part of Mayo Clinic and University of Illinois Alliance for Technology-Based Healthcare. For O’Gorman, her work at Mayo matches perfectly with her interests and career goals. “As a bioengineering major, I have always had a passion for science and research discoveries that can improve care for patients. At Mayo, I have had the opportunity to work on developing new diagnostic tests and treatments that will help individualize therapy for patients with many skin conditions, ranging from melanoma, the most serious form of skin cancer, to sunburn and skin rashes related to radiation treatment. Each of these research projects has great potential to improve care for patients,” says O’Gorman. “I chose to return to Mayo for a second summer because the collaboration and opportunities presented here are unlike anywhere else. The emphasis on bringing innovative therapies from ‘bench to bedside’ and the constant progress made in transforming discoveries into patient care at Mayo is unique and motivating. My experiences at Mayo are paving the way for my ideal career in therapeutic development and are giving me a clinical connection that I have not been exposed to in my research back at school,” says O’Gorman. O’Gorman is part of a research team developing a screening test to help identify which melanoma patients are at risk of having their disease metastasize or spread to other parts of their body. According to her research mentor Alexander Meves, M.D., O’Gorman is gaining critical, hands-on experience in laboratory techniques, research methods and regulatory challenges. “By analyzing a melanoma patient’s tumor sample, Madelyn is helping identify biomarkers that can show whether a patient’s melanoma is at low risk or high risk of spreading and whether he or she should consider additional screening and therapy. This approach allows us to look at the patient tumor from a molecular level and potentially provide a more accurate diagnosis than a visual examination of a pathology sample. Madelyn is an enthusiastic member of our multidisciplinary team, which includes Tamas Ordog, M.D., director, Center for Individualized Medicine Epigenomics Program, senior biostatistician Vera Suman, Ph.D., and pathologists Julia Lehman, M.D., and Alina Bridges, M.D.,” says Dr. Meves. O’Gorman is also working with Dr. Meves and Stephen Ekker, Ph.D., on developing a cream that can be used to prevent the skin damage from sun exposure that could lead to melanoma. The same cream or a similar therapy may also prevent skin rashes that many cancer patients experience after having radiation treatments. To round out her research portfolio, O’Gorman is working with Saranya Wyles, M.D., Ph.D., to develop a cream that could prevent or reduce scars that occur along a surgical incision. This treatment could provide better cosmetic results and healing after surgery. As Dr. Meves points out, students like Madelyn are the future of precision medicine research. “We are grateful for the opportunity to work with bright, young students like Madelyn who are interested in pursuing careers in individualized medicine. 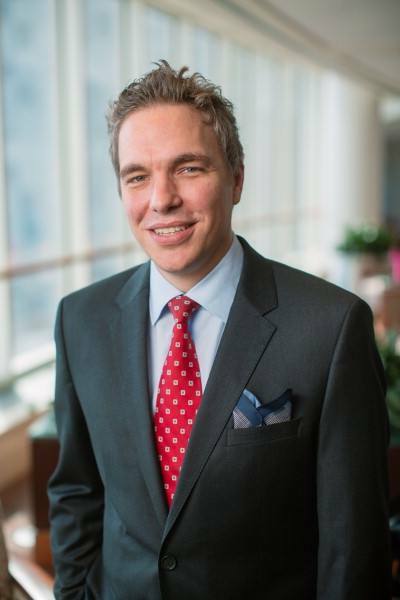 We hope to provide them with the tools they need to advance the field and create more personalized approaches for patient care,” says Dr. Meves. 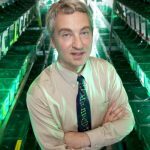 The research that O’Gorman is conducting with Dr. Meves is supported by The Gerstner Family Foundation. 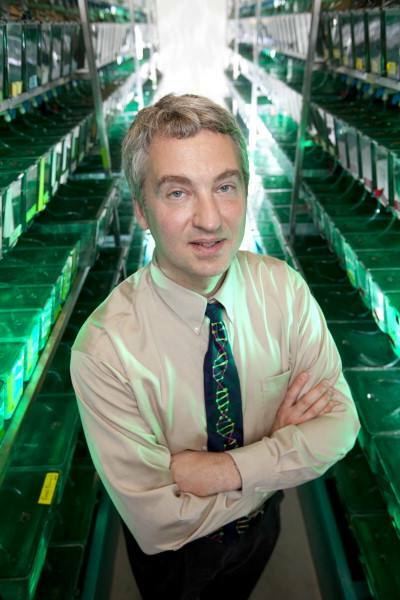 Dr. Meves is one of two 2016 recipients of the Gerstner Family Career Development Award in Individualized Medicine, an award established by the Gerstner Family Foundation to provide early career investigators important seed money to conduct research to predict, prevent, treat and cure disease using individualized medicine approaches. Learn more about the awards here. 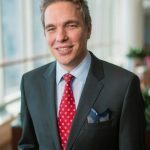 The Mayo Clinic and Illinois Alliance for Technology-Based Healthcare was created in 2010 and unites Mayo’s clinical and research expertise with Illinois’ strengths in technology, engineering, and life sciences, to advance research and clinical treatment options in individualized medicine. In addition to funding research activities and technology development, Mayo Clinic and Illinois Alliance supports research opportunities for undergraduate and graduate students, as well as continuing education programs for professionals.